I’m a little late to the Haus of Gloi Spring Review game, but I have good reason! I got these last week, and I really wanted to give my perfumes about a week to settle, especially after a few went bonkers when I first tried them, (which you’ll hear more in the reviews). But it’s a week later, and I’m here with my well informed review. 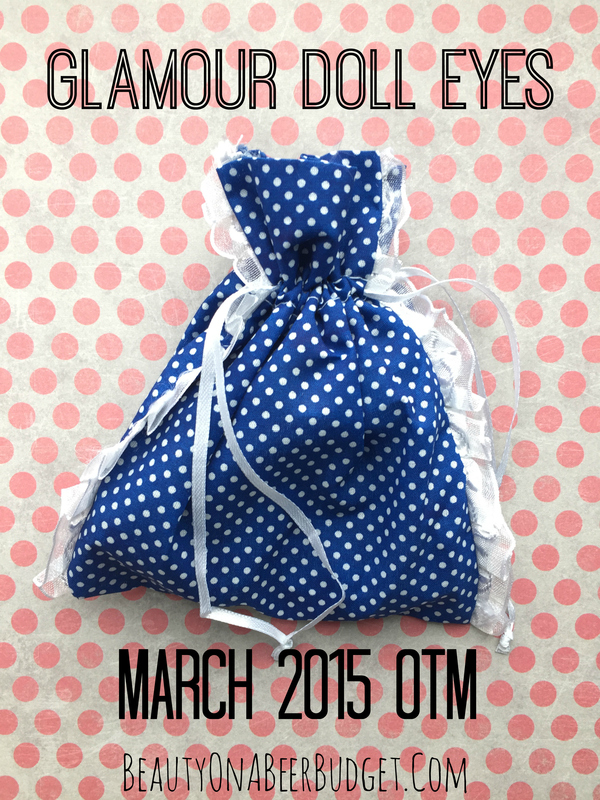 Just in time for the Haus of Gloi Spring restock on April 5th! I like the labels for Spring, very cute and seasonal. How’s your weekend going? The weather where I live has been gorgeous, so I’ve been ignoring my responsibilities working outside on my exams and papers. Because summer is coming. And it will be 103589 degrees in about a month, so I have to enjoy this beautiful-ness now. 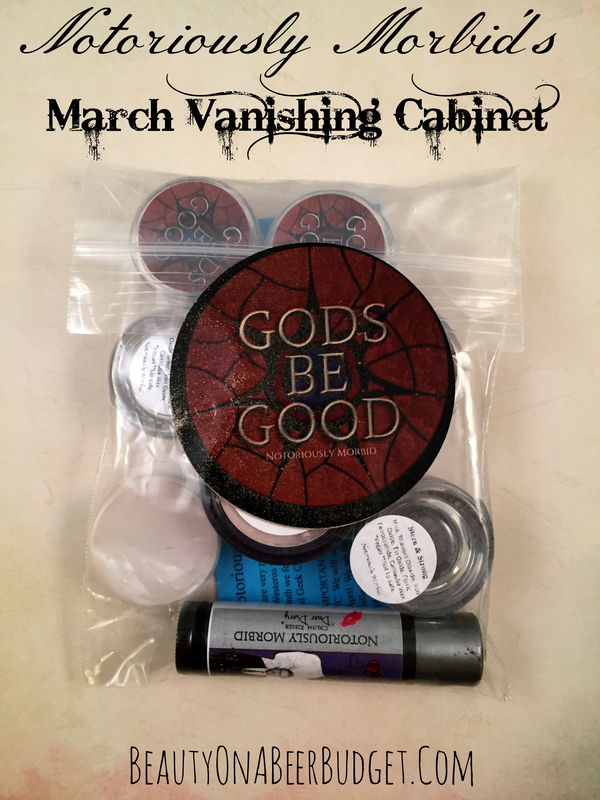 I did take a study break to swatch my most recent Vanishing Cabinet by Notoriously Morbid, though! The theme was Game of Thrones, and I can never resist that hook. Oh goodness what a week. I’m busting out one of my Lush bubble bars cutting it in half, because I’m cheap and taking a bath tonight. With a giant, but responsible, adult beverage. 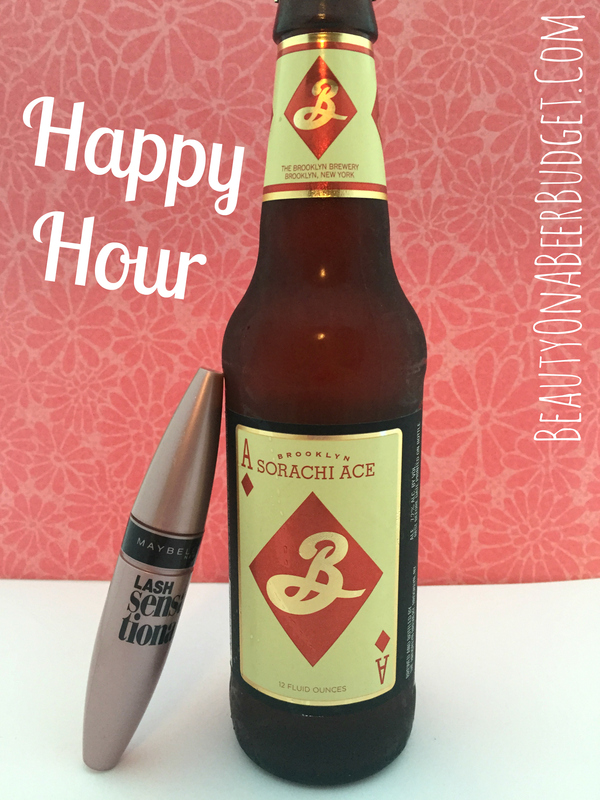 If you have energy to get out for a Happy Hour, I’ve got a makeup product for you, my new favorite mascara, Maybelline’s Lash Sensational Mascara-and it’s only $7! I would normally rave about my beer of the week here, but unfortunately I had a case of mistaken beer identity. I thought this Brooklyn Brewery Sorachi Ace was a Saison I’d tried before and loved, but it turns out, I strongly, immensely, really dislike it. 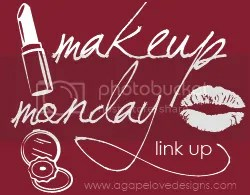 So for more on that story, as well as a cheap new mascara, check out Happy Hour! How’s it going today? So I started watching The Unbreakable Kimmy Schmit on Netflix, (usually while I’m scarfing down dinner), and I’m loving it. It’s charming, silly, and hilarious, with jokes and gags crammed into every scene. I had a meh day and Kimmy Schmidt was a great pick-me-up. Let me know in the comments if you’ve seen it! 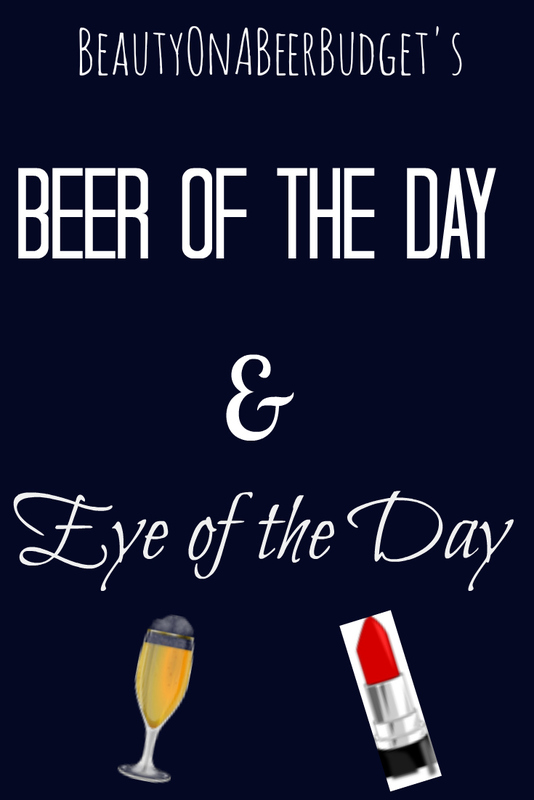 Anyway, makeup and beer are also good pick me ups to meh days, and I have both for you today in our EOTD/BOTD. I’m sharing another look I tried with the “More Human Than Human” Collection from Aromaleigh. This one is a fairly subtle work appropriate look. Because that’s where I live. Enjoy your makeup and beer responsibly. So this post technically should have come out yesterday, but my puffy eyes were not up to a photoshoot, so I moved it. 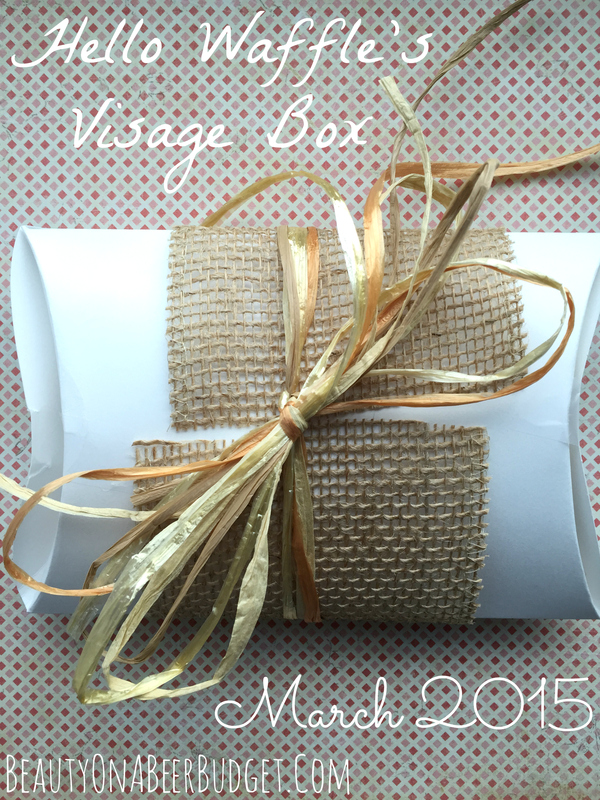 But I’m here today, with a review of the March Visage Box by Hello Waffle, including a look with the products! Puffy eyes and everything! The packaging was spot on for the theme this month! How’s the weekend treating you? I had really grown up adult expectations of going to bed early to do work on Sunday. And then Mr. Danger decided to brew and we stayed up until 1:30 in our garage, bonding with our next door neighbors, instead. Adult life choices, right here. Due to this lack of sleep, I have a change in plans for my Subscription Sunday post. I’m pushing my Hello Waffle Visage Box review back until tomorrow morning. I hadn’t finished my FOTD look with the Visage box yet, and now that I have massive bags under my eyes, I’m going to wait until I look better to photograph my face. Vanity, thy name is Exhausted Rebs. This means that I have a brand new subscription box to review for you today! 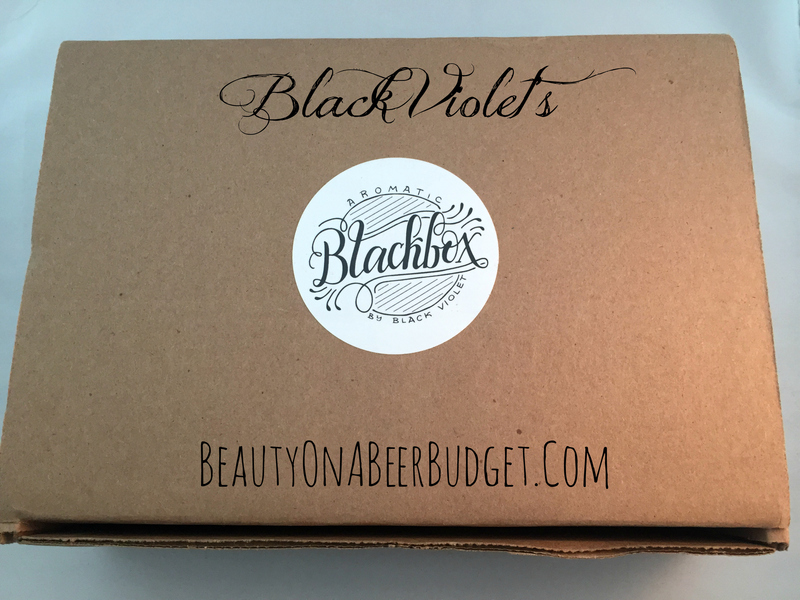 Black Violet’s Blackbox! I’ve been stalking this box since I first heard of it’s creation in January, and I was so thrilled to grab one. 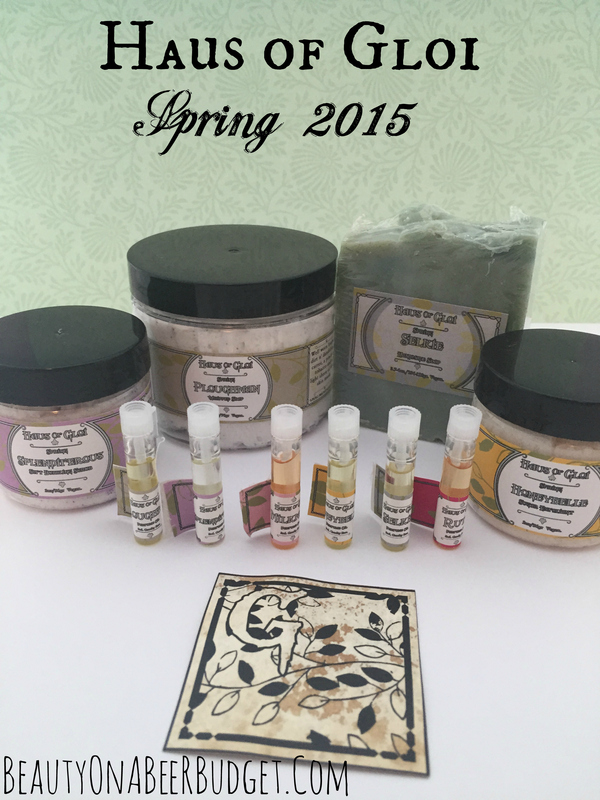 It’s a mixture of skin and hair care products, plus perfume! 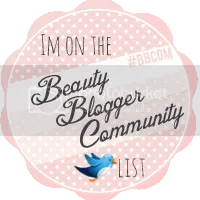 There will be more slots opening in May, so check out what I thought! Love the label. All the packaging was just excellent. Do the Friday dance! We made it! How’s it going for you? I picked a bad week to stop drinking coffee. (Just kidding that would never happen. I meant to say I picked a bad week to stop abusing coffee.) It’s just been a very long and tiring week. 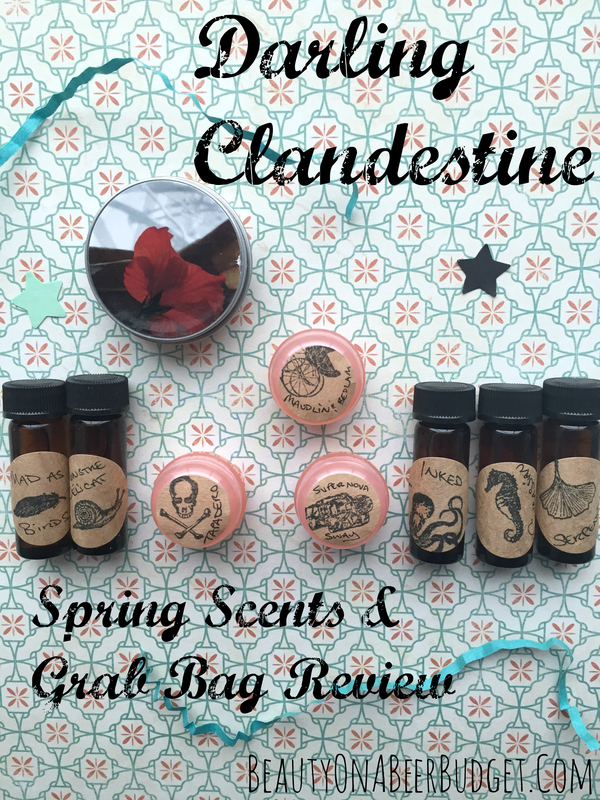 I’ve got a review of some of Darling Clandestine’s Spring scents and then a review of some of her Classic Scents from my Grab Bag purchase. As a newbie to DC, I had a lot of fun with my little haul, so read on! 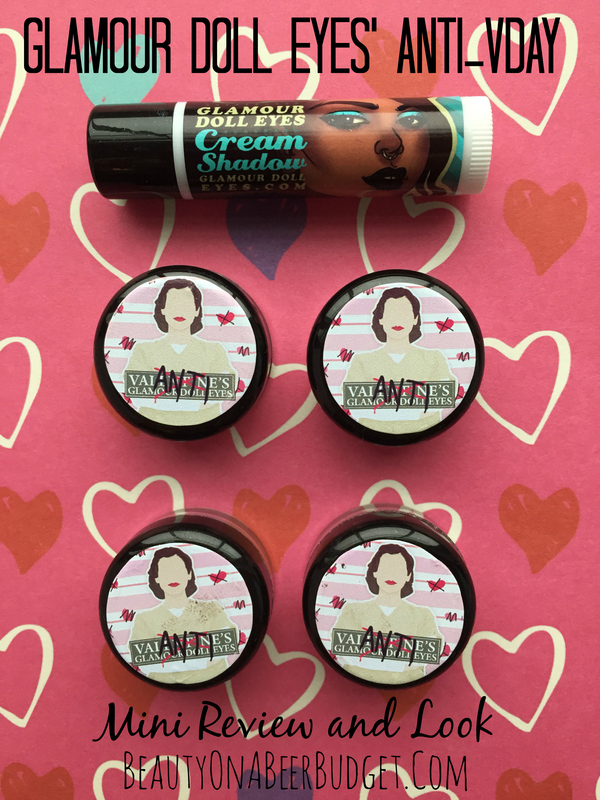 For today’s EOTD/BOTD we have the second round of eye shadows I picked up from the Glamour Doll Eyes’ Anti-Valentine’s Day Collection. Since I only grabbed four I decided to do a little mini review with the EOTD. You can see last week’s post where I reviewed and used Pornstache and *Snap* Fierce here. 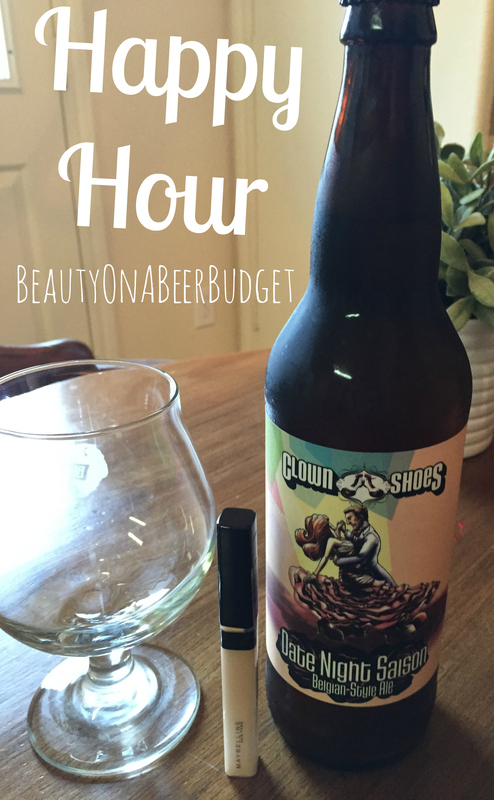 I also have Clown Shoes’ The Peace That Money Can’t Buy, that I forgot I reviewed a couple of weeks ago and never shared. Spoiler: It’s the longest beer name everrrrr.